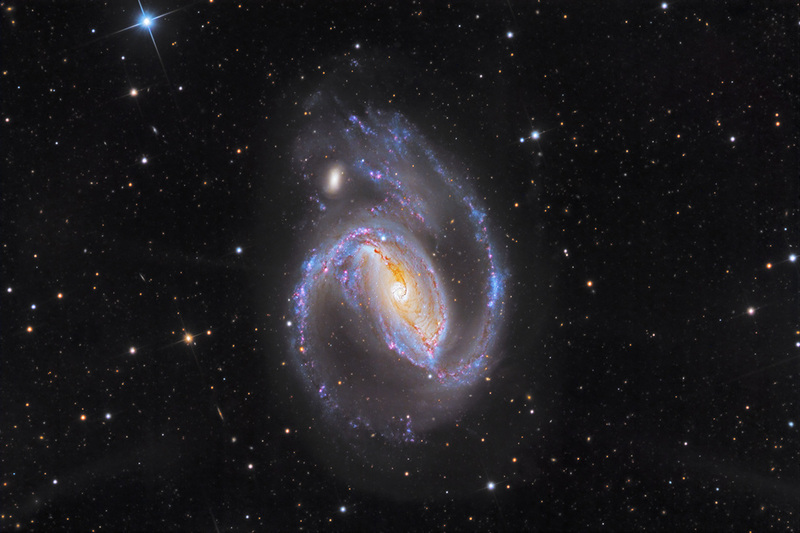 NGC 1097 gently wraps its arms around an elliptical satellite galaxy called 1097A, at 1 o'clock on the larger galaxy's face. As if this pair isn't lovely enough, turn down the lights and note the very faint jets emanating from the nucleus. These are likely remnants of interaction with a smaller galaxy, eons ago. 'Jet 2' has an inverted golf club shape. The data was acquired at SSRO in 2014.